Bolton Council has been awarded £12 million to create a new road across the £262 million Rivington Chase development which will enable much needed homes to be built more quickly. The money will also be used for remediating the land which the road will be built on. The road will provide the main access to vehicles for Rivington Chase and will link the planned 1,700 home site with Middlebrook retail park, Horwich Parkway railway station, and junction 6 of the M61. The government funding is to support local infrastructure to make housing developments viable and accelerate housing delivery. Bolton’s award is the joint seventh largest in the country and the largest award in the North West among the 133 council-led projects to be given money. “This is great news and we always promised we would address local residents’ concerns about access to the site and how any extra vehicles in the area would be catered for. “We understood that the local community had concerns about highways infrastructure, and we said this would have to be in place before any houses are built. “The level of investment proposed in the whole scheme will result in major direct financial investment into Horwich, which will benefit both the town and the whole borough. Rivington Chase is being delivered by the council and landowners including Bluemantle, Homes England (formerly the Homes and Communities Agency) and Network Rail. 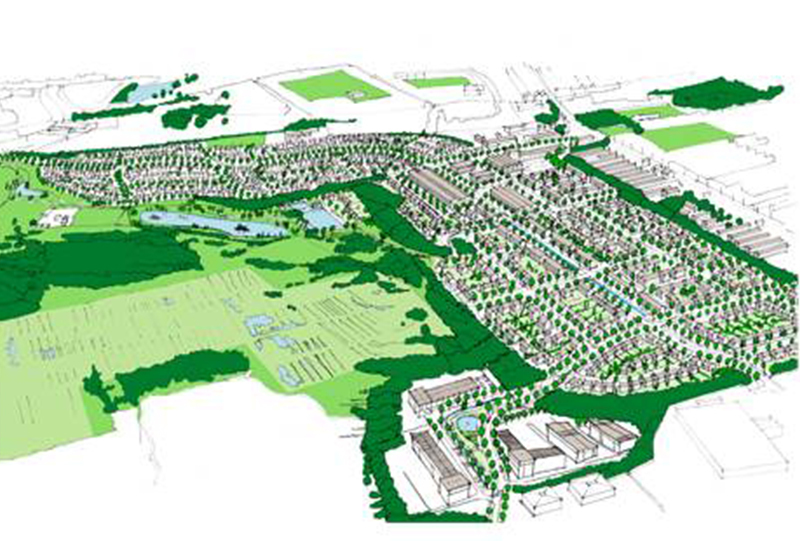 The site has outline planning permission for 1,700 new homes and last November Bellway Homes received permission for 112 new homes to be built at the entrance to the site – the first phase of the comprehensive masterplan to deliver Rivington Chase. Other applications will be submitted over the coming months for different phases of the scheme.